Nowhere is the sheer honesty of Our Lord Jesus more vividly displayed than here in today’s gospel. Here He sets the Christian demand at its most demanding and at its most uncompromising position. He tells His men exactly what they may expect, if they accept the commission to be messengers of the King - they must be prepared to undergo great sacrifices, even death itself, if called on to do so for the sake of Christ. The way of Jesus becomes the way of those who would be His disciples. Those who in faith and service continue Jesus’ work will also share His death and ultimately His glory. If you think that the renunciations demanded by the Lord are incredibly radical, He repeats three times that those unwilling to take up these demands are “not worthy of me!” Even though they had only a very vague idea then of what He meant, when the time came, they remembered His words and gladly suffered imprisonment, hardships, and finally martyrdom for Christ. Three points are made in today’s short gospel: (a) that discipleship is a bond that supersedes all other bonds, (b) that true discipleship will inevitably lead to the cross, (c) that discipleship also has its rewards. While the first two points deal with the proper attitude of disciples, the third deals with the proper attitude toward those who are disciples. Let’s begin with the first point. The Lord offers every potential follower the ultimate choice. Choose Me or nothing! Just a few verses before today’s passage, the Lord already tells His disciples that He has come not to bring peace, but a sword. He offers them warfare, a Christian form of ‘jihad,’ not that they are asked to commit acts of violence in the name of religion but that acts of violence would be committed against them. In this warfare, it will often be true that a man’s foes will be those of his own household. Our Lord’s words may be troubling to us today, as it was to His disciples then, but they were not unfamiliar. The Jews believed that one of the signs of the in-breaking of God into human history, the so-called Day of the Lord, would result in division of families. Rabbinical tradition spoke of this, “In the period when the Son of David shall come, a daughter will rise up against her mother, a daughter-in-law against her mother-in-law. The son despises his father, the daughter rebels against the mother” etc. Sounds familiar? Secondly, the Lord offers a cross. Many Christians have literally been martyred by the cross and others through ingenious devices of torture and execution developed by the Romans and other anti-Christian regimes, through the course of human history. In recent history, the cross as a means of execution has reappeared in a horrifying graphic way, in the manner by which ISIS executes Christians, other minority groups and detractors. But the cross also appears to each one of us too. A Christian may have to sacrifice his personal ambitions, the ease and the comfort of life that he might have enjoyed, or the career that he might have achieved; he may have to lay aside his dreams, to realise that shining baubles of which he has caught a glimpse of, are not for him. He will certainly have to sacrifice his will, for no Christian can ever again do what he likes; he must do what Christ likes. 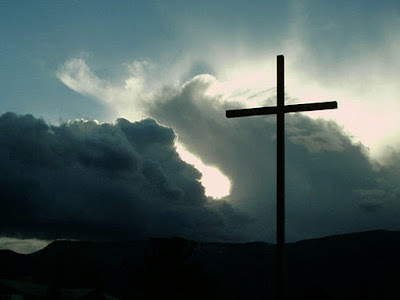 In Christianity, there is always some cross, for it is the religion of the Cross. If a person were only offered the above two options, no one, on his or her own volition, would actually walk into Church and embrace the Christian faith! Why would they? You have to be crazy. But then, the deal isn’t done yet. There is a third offer. It is a promise. “Anyone who welcomes you welcomes Me; and those who welcome Me, welcomes the one who sent Me.” Yes, there would be those who reject and curse Christians because of their faith in Our Lord, but there are those who would welcome us and therefore, welcome the blessing that accompanies us. We will become a mutual source of blessing for others and they for us. We are transformed into Christ emissaries. Alongside you, behind you, following you into every room, invisibly but truly, is Christ. You bring Christ with you. You are yourself, but you stand for more than yourself. As His representatives, Christians now carry an identity beyond their own. When they travel, preach, teach and heal, it is Christ whose work will be done by their hands. The world will meet Jesus through them: “Anyone who welcomes you welcomes Me; and those who welcome Me, welcomes the one who sent Me.” Thus, Christians enjoy both the privilege and the responsibility to make Christ visible. Hospitality is indeed the new evangelisation. Christ is made visible in the act of welcoming, in giving and receiving hospitality. That is why it is incumbent on us to meet others beyond the circle of our family and Church friends. If we never encounter strangers, Jesus has no opportunity to be made manifest in the welcome. Here lies the four links in the chain of salvation. There is God, out of whose love the whole process of salvation began. There is Jesus who brought that message to men. Then there is the messenger, the prophet who speaks, the good man who is an example, the martyr who gives witness, the disciple who follows, who in turn, all pass on to others the good news which they themselves have received. And finally, there is the hearer. It is he who welcomes God’s message, His ambassadors and believes, and who thus finds eternal life for his soul. The conditions of discipleship outlined in Matthew’s Gospel may appear harsh. There is no place for a policy of safety first in the Christian life. Yet they underline for us a truth—choosing anything with one’s whole heart has consequences. Choosing life with Christ means that every relationship we have, must be understood from a new perspective. The man who seeks first ease and comfort and security and the fulfilment of personal ambition may well get all these things – but he will not be a happy man; for he has been called to a higher purpose. A man can hoard life, if he wishes to do so. But that way, he will lose all that makes life valuable to others and worth living for himself. The way to serve others, the way to fulfil God’s purpose for us, the way to true happiness is to spend life selflessly, for only thus will we find life, here and hereafter. Yes, be warned! The cross is the fate of all who enter this Church, but it is also the quickest and the surest way to heaven!